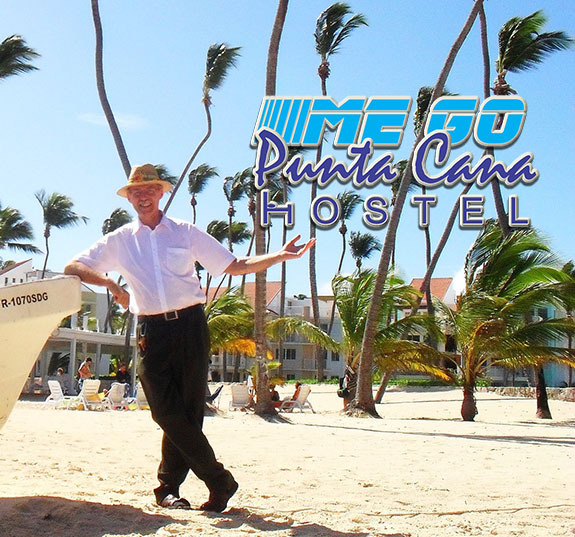 Me Go Punta Cana Hostel | Let our home become your home! Top floor 2 bedroom apartment in Caracolí! Available right now for long-term rental. Regular rate: $500 / month – fully furnished including all expenses except electricity! Two bedrooms with pullout in living room. One bathrooms. Security. Well appointed. SPECIAL FOR JEHOVAH’S WITNESSES ONLY: $480 / MONTH!!! Price is for 12-month contract only. Bookings via e-mail only. Please use our contacts page to inquire or reserve. Photos on the Gallery page. See our prices page for short-term to medium-term rentals. We would like to invite you to our hostel for Jehovah’s Witnesses only*. This is a GREAT getaway spot for those who are thinking of expanding their ministry and who would like to ‘spy out the land’, for those who would like to visit their brothers in this fantastic preaching paradise, or who would simply like to relax in an atmosphere away from the old world. Sorry, no elevator or mobility challenged access. * For an explanation of who can stay in our hostel, please see our FAQ page. Mon séjour chez vous a été très plaisant ! Vous êtes des hôtes formidables! J’ai beaucoup apprécié votre discrétion, votre sensibilité à mon bien-être, votre sens de l’organisation m’a aussi impressionné. My stay with you was very pleasant. You are terrific hosts. I appreciated your discretion, your attention to my well-being, and I was impressed by your sense of organization. Thank you! Your hospitality was very kind. The hostel was clean and beautiful. And the prices were incredibly reasonable. It was the perfect place we needed. And the location was great! Right by a few restaurants and a grocery store and not to mention the beach! We only had he privilege of staying one night but we would arrange to stay with you guys if we are in Punta Cana again. And we would recommend your hostel to any of our friends! We also really appreciated the taxi/shuttle services you offered it was an immense help and the prices beat any taxi. Plus the company was much better 🙂 Thank you again for opening your home for such a beautiful arrangement. It really shows that our organization is world wide!